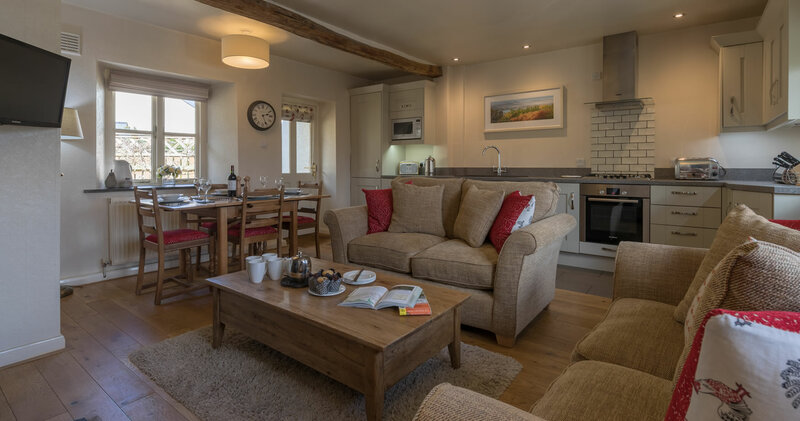 A legally binding contract which incorporates these booking terms and conditions is formed between you and us when you make a booking with us to stay in either Fox Howe cottage, Squirrel cottage or Jasmine cottage and when we confirm that booking in writing either by email or post. A non-refundable deposit of 30% of the full cost of the holiday is payable when booking. For short breaks the minimum deposit is £100. A booking will only be confirmed by us once we have received a deposit. We will send a booking confirmation by e-mail or post upon receipt of this deposit. The balance of the cost of the holiday is due 8 weeks before you arrive. We will send a reminder by email (or post where there is no email) one week prior to this. Non-payment of the balance by the due date shall be construed as a cancellation of the contract by you. No further reminders will be sent. At this point we will open up the availability and seek to re-let the cottage. If you are booking within 8 weeks of the start of your holiday the whole cost is payable at the time of booking. If you need to cancel your holiday you will do so as soon as possible either by email or post. If we have to cancel your holiday for reasons beyond our control we will attempt to find you alternative accommodation. If we cannot find anywhere or if the accommodation we find is not acceptable to you then we will refund the total amount that you have paid including the deposit. Our liability to you would not extend beyond this refund and you would have no further claim against us. We strongly recommend that you take out holiday cancellation insurance to protect against the cancellation penalty. If occupancy exceeds this then we can refuse to allow you to take possession of the cottage or make you leave before the end of the holiday. If this happens we will treat your holiday as cancelled by you and you will not be entitled to a refund of monies or compensation. The cottage is rented to you for holiday purposes only and is limited to the dates agreed between you and us at the time of booking. You will not sublet the cottage during this rental period. Arrival time - We clean the cottages ourselves. To make sure they are spotless and to carry out any maintenance, the earliest your cottage will be ready is 4pm (unless by prior arrangement). Please let us know if you plan. Departure time - You must vacate the cottage prompty by 10am on the morning of your departure. You agree to take all reasonable care of the cottage and its furniture, pictures, fittings and effects in or on the cottage. You agree to leave the cottage in a clean and tidy condition at the end of the rental period. You are responsible for any breakages or damage you cause to the cottage and its contents. You will be invoiced for the cost of repairing the damage or replacing (as new) the item or items or for any special cleaning that is required. Please report any breakages or damage before you leave. Note that we do not normally charge for minor breakages e.g. glassware and crockery provided these have been reported. We do not accept responsibility for injury to persons or loss/damage to possessions unless caused by proven negligent act or omission by ourselves, our employees or contractors whilst acting in the course of their employment. This includes loss or damage to vehicles and their contents. Should you find any faults or have any complaints during your stay, please don’t wait until you leave but let us know immediately so that any appropriate action can be taken. We will always do our best to put things right as quickly as possible. We make every effort to ensure that the information and cottage descriptions on our website are accurate. We do however reserve the right to make small changes and we accept no liabilities for minor inaccuracies. You accept responsibility for the safety of your children and must not leave them unsupervised in the cottages or the cottage grounds at any time. There is a strict NO SMOKING policy within the cottages. We or any agents acting on our behalf will be allowed right of entry to the cottages at all reasonable times for the purpose of inspection or to carry out any necessary repairs or maintenance. Please contact us if you require any further information about our terms and conditions of booking.